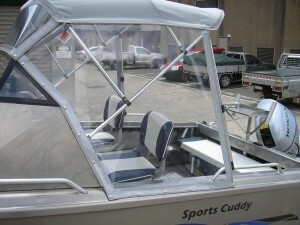 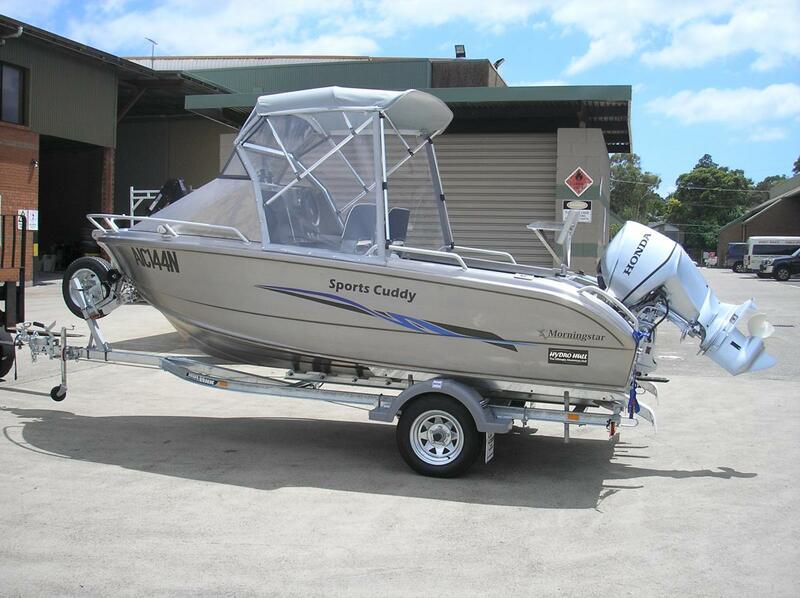 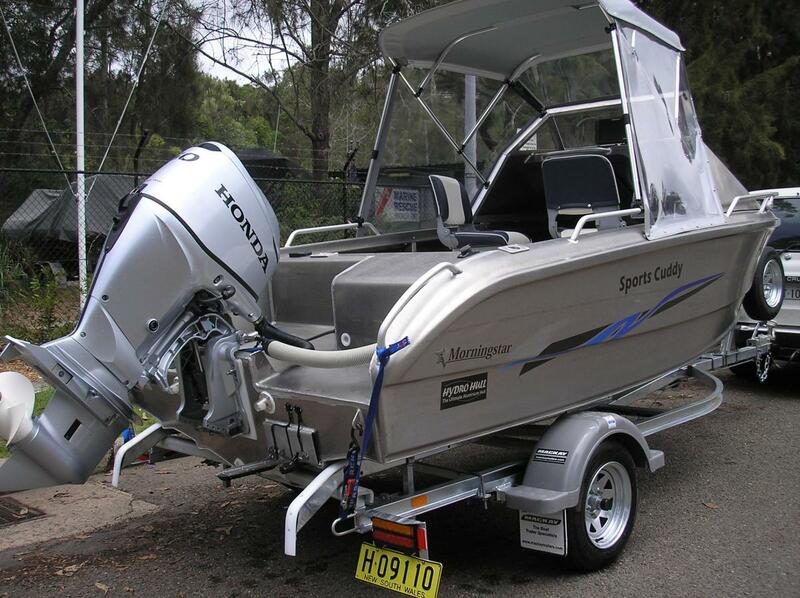 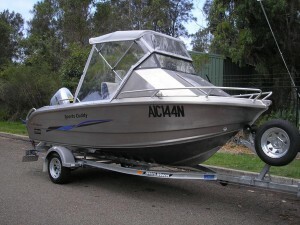 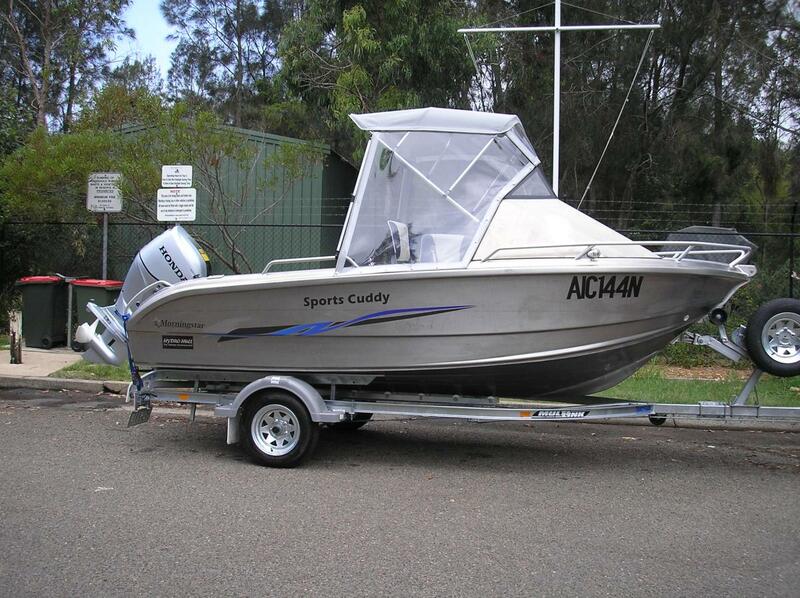 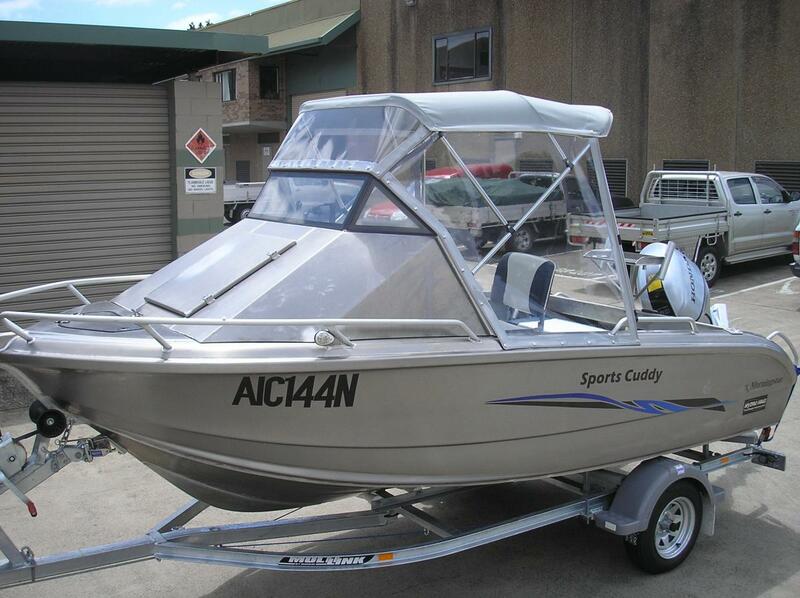 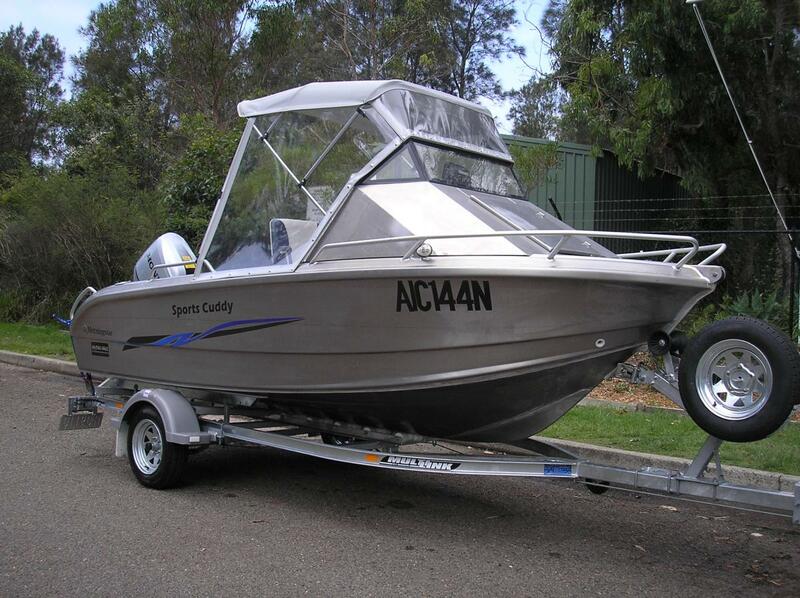 " ALLOY BOATS THET LOOK & RIDE LIKE GLASS " - : Morningstar's new plate alloy " 498 Sports Cuddy is here !!! " 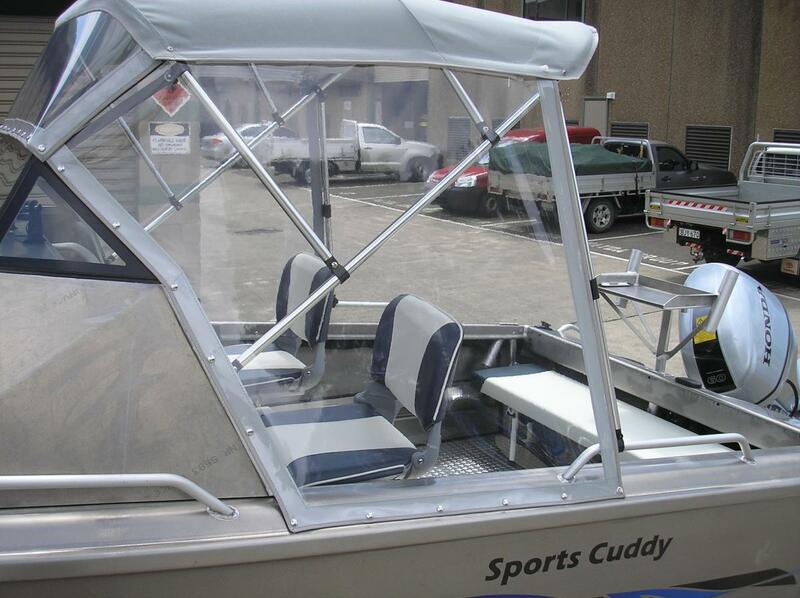 This stylish & functional hull is the answer for the outside fishermen & young families who require protection & maximum useable deck space. 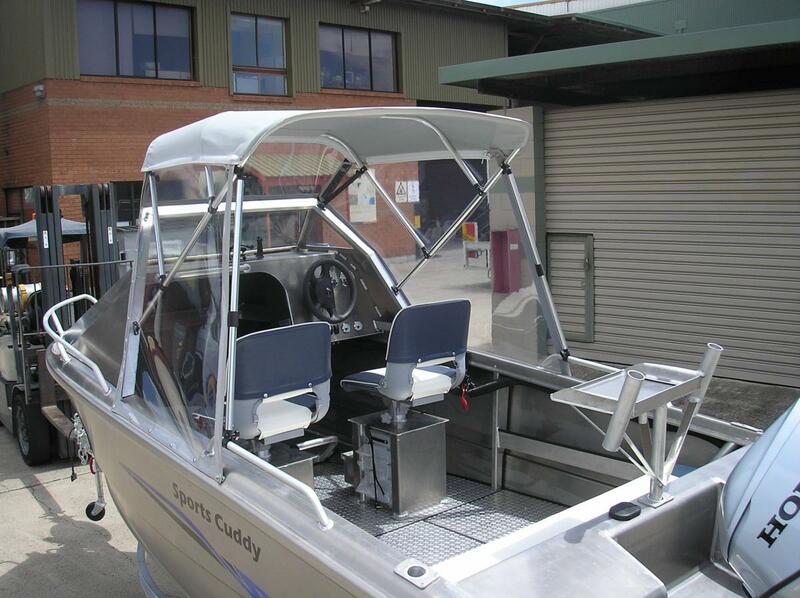 These hulls are the new " Revolution " to the plate (5083) aluminium market - The hulls are deigned in Australia - The sides-- hull - deck & transom are pressed with a 4000kg press & the side & bottom sheets precision robot welded with a 6mm internal keel . UNIQUE QUALITY build - " The world's first hulls " - designed & build with technology - AND - they perform like Fibregalss. 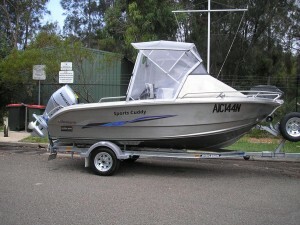 Standard features include - Checker plate self draining deck - Transom live bait tank - 60 litre under floor fuel tank - Helm & passenger seat boxes incorporating tackle box drawers in each side - cuddy floor storage - Rear folding lounge - nav lights & bilge pump- Large bow hatch & the " UNIQUE HYDRO HULL "
Powered By Honda's BFP60Hp fuel injected Big Gearbox four stroke motor with " BLAST " low RPM Power Band - The 498 Sports Cuddy leaps onto the plane with ease - a perfectly balance boat & motor package.